For those of you who dont know me, Ive been operating as a fly fishing guide/instructor in the Snowy Mountains and Monaro region since 1994. I began fly fishing in South Australia in 1980 while in my early 20s and was a member and former councillor or the S.A. Fly Fishers Association. The fishery there was fairly limited, but still quite challenging and led to me travelling quite a lot so as to satisfy my urge to fly fish and learn more about fly fishing. I regularly visited the Snowy/Monaro through out the 80s and early 90s. 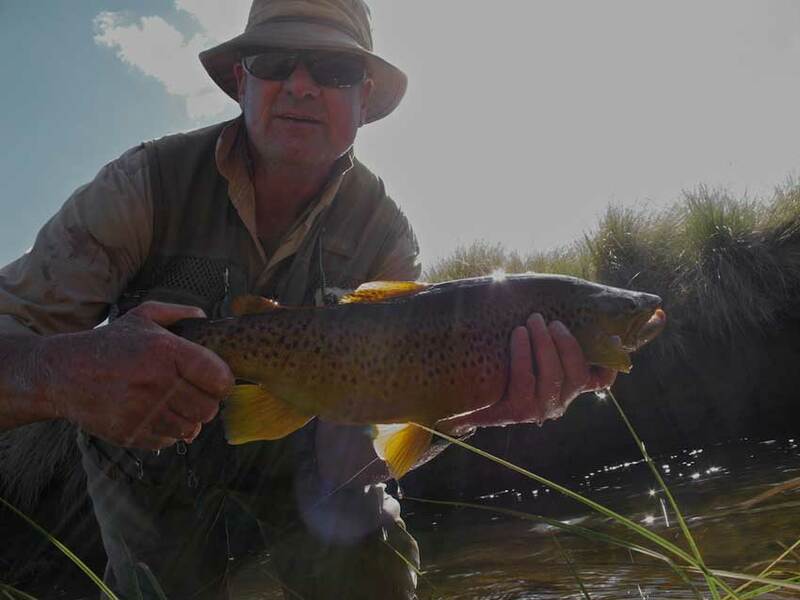 The Monaro was a fantastic fishery that provided plenty of large and difficult trout and accordingly was considered to be the best and most challenging fishery in the country. Lets hope the drought ends soon and with a bit of luck the Monaro will return to its former glory in a few years. These days the focus is more on the mountains and they provide a wonderful and diverse fishery. Ive also been lucky enough to fish extensively in both the North and South Islands of New Zealand - a mecca for fly fishers, as well as Tassie and Victoria. I have a preference for river and stream fishing but love hiking in to the remote Tasmanian lakes for a bit of dry fly polaroid fishing. After moving to Sautelle Lodge as guide/instructor in 1994 I then located more centrally in Cooma just after the World Fly Fishing Championships that were held here in 1999. I was fortunate to guide the Norwegian Team in the World Champs and that was a great experience - they were a great bunch of people.